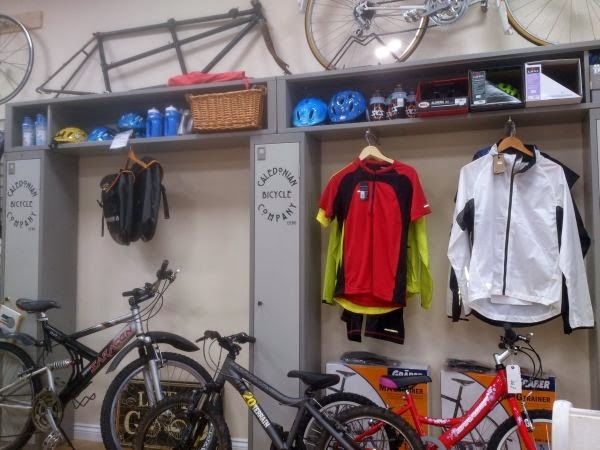 Just before Christmas last year a new cycle shop opened at 42 Castle Street, Hamilton, South Lanarkshire. This, however, is not only a cycle shop but a continental-type café selling tea, coffee and soft drinks. It also sells food including cakes, biscuits, baked potatoes, home made soup, baguettes and sandwiches. Owned by Kenny and Lisa, it is a welcome addition to the facilities in the town. The shop is lovely and clean and there are cycling books for visitors to browse through, while enjoying their meals and drinks. I have been in a few times now - on my own while passing the shop and with my friend Emma. The coffee is real Italian and comes in various forms so there is a drink to suit everybody. 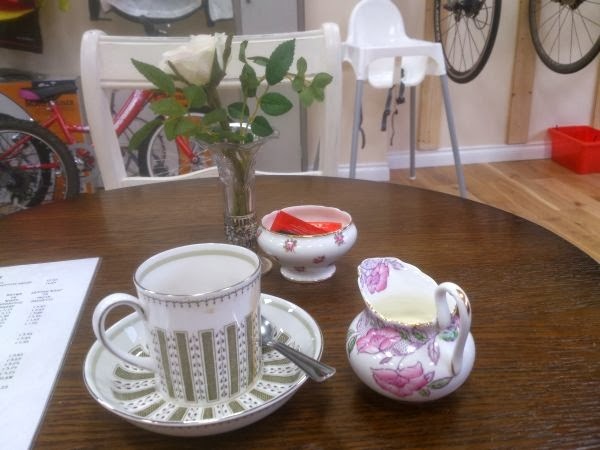 There is plenty of room for bicycles, prams and wheelchairs so it is possible to bring them into the shop for safe-keeping, while enjoying the refreshments. 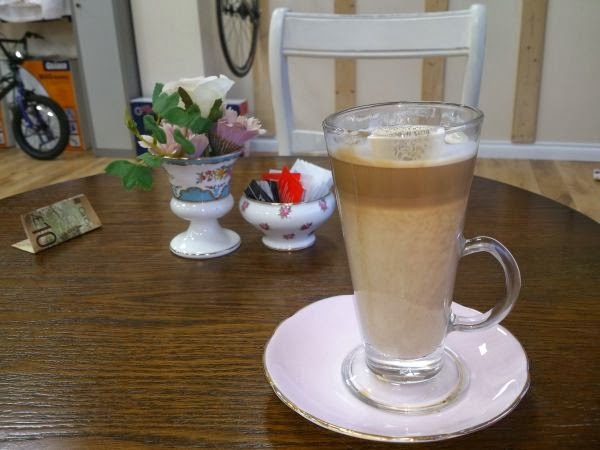 The café is a great place to catch up with friends or to pop in for a drink or a bite to eat.